If your ever wandering around the “big three” Michigan libraries this coming month, you might come across an interesting new set of artistic additions. The Penny Stamps School of Art and Design is hosting an exhibition curated by Dean Guna Nadarajan displayed across the Shapiro Undergraduate Library, Hatcher Graduate Library, and the Art, Architecture & Engineering Library in the Duderstadt. The exhibition will feature a number of site-specific installations, performances, interventions, and events done by Stamps students and staff. All of the related events are completely free. 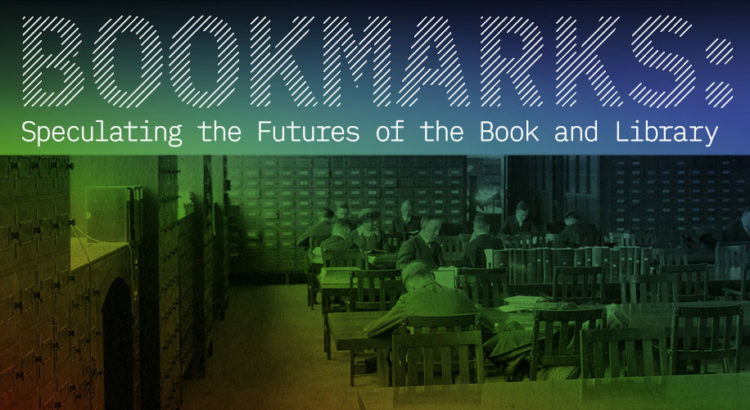 For more information and the event specifics please check out the link here https://stamps.umich.edu/exhibitions/detail/bookmarks_speculating_the_futures_of_the_book_and_library. The vast majority of events are still on the horizon. Of particular note the opening reception will be Wednesday, March 27, 5:30-7:30 PM. The pieces will on display March 26th to May 26th. As the pieces are completely open and free to the public make sure to spice up your next study break by visiting one, or several of the installations.